When an owner’s claim is disputed (if the tenant (and/or Housing Connect where relevant) does not respond it will still be considered a dispute), they must provide evidence for their claim. The claim is then assessed by the Commissioner by looking at the evidence. The Commissioner decides who will receive how much of the bond. This will be made by a written letter (called a Determination) sent out to all the parties. For a list of the evidence an owner should supply to support a claim, see the Summary of Evidence form (pdf, 91.7 KB), or see below for evidence required for the most common claims against the bond. Rental arrears is the amount of rent owed by the tenant at the date they left the property. The owner should provide the Summary of evidence form, the lease, and a rental ledger. A tenant can provide bank statements or receipts of rent paid. Rental loss is the amount of rent a tenant would have had to pay if they had stayed at the property until the end of the lease, or until it was relet. This is most commonly after a tenant ‘breaks the lease’. The owner should provide the Summary of evidence form, the lease, rental ledger, and the dates they advertised the property and when it was re-let. If a tenant moves out early, an owner can claim the costs of advertising. The owner should provide the Summary of evidence form, the lease, and the advertising invoice. If the tenant has caused damage, or not left the property and garden as clean as it was at the beginning of their lease, the owner can claim for the costs of having professional service people do repairs, cleaning, carpet cleaning or gardening. invoices with the ABN of the business who did the work. An owner cannot claim for their own time spent completing the work, but can claim for the costs of items to help them undertake the work, for example cleaning materials or replacement items. A tenant must have the carpets professionally cleaned if they were professionally cleaned at the start of the tenancy. They must not hire a steam cleaner and do it themselves. If the damages are extensive and the owner wishes to make an insurance claim, the owner may claim the excess from the bond. For more information about a tenants and owners responsibilities, see specific categories of rental ‘repairs’ – whose obligation .  For more information about how the Commissioner considers evidence, see A Guide to the Residential Tenancy Commissioner (pdf, 736.4 KB). Tenants are responsible for accessible, normal light bulbs and tubes during their tenancy. Owners are responsible for inaccessible and specialist bulbs and tubes (such as oven lights, heat lamps, external lights, downlights) during a tenancy. Claims for light bulbs at the end of the tenancy are rarely supported. Claims for flue cleaning are not supported. A claim for cleaning the fire box might be. An owner should provide the ingoing and outgoing condition reports, photographs and an invoice itemising the cost for cleaning the fire box. During the tenancy, the tenant is usually required to pay for metered water use. This means that any bills passed to the tenant by the owner must be paid, if the lease specifies that water consumption must be paid by the tenant, and where the property has an individual meter for the property. Where the property has a meter that is shared with another property, the tenant cannot be made to pay for water usage as it cannot be known exactly how much water the tenant has used. The owner and the tenant should note the water meter reading at the start and end of the tenancy. This should be recorded on the condition report. The owner should pass the water consumption invoice to the tenant as soon as possible after receipt. In the case of tank water, if the tank was full at the start of the tenancy, then an owner may charge a tenant for the cost of re-filling it at the end. If an owner claims water usage from the bond, they will need to provide the lease and the water invoice, and a statement that the invoice has not been paid by the tenant(s).